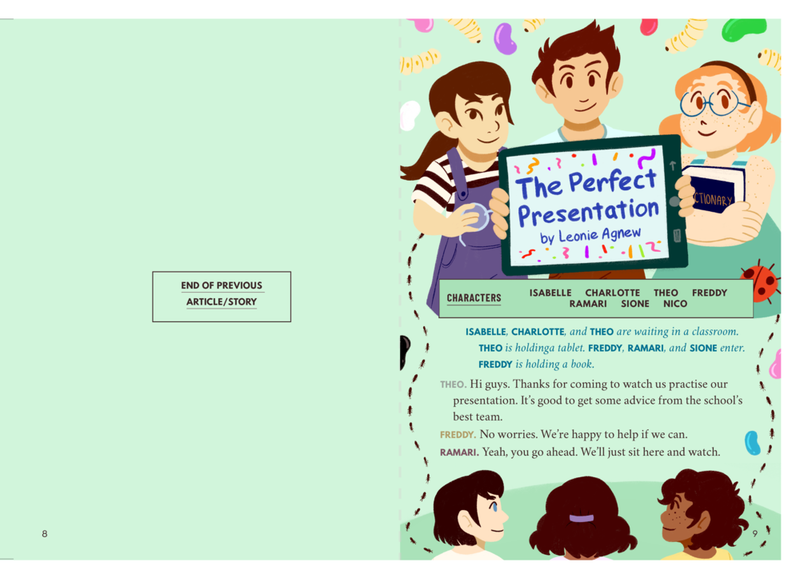 “The Perfect Presentation” is a short play written for School Journal in mid 2018. The brief was to illustration scenes, as per direction, as well as a border of edible bugs. Though these were not chosen as the published illustrations, they were done under the critique of School Journal staff as to fit their standards. Text belongs to Leonie Agnew and School Journal.